A Christmas Romance With Dogs! Christmas may be over, but that doesn’t mean we need to stop reading holiday novels! I find novels of this type are heartwarming, happy, and magical. There’s always time for that. And seeing as it’s winter in half the world, there’s no better time to read a book that takes place during this time of year. BONUS: Within this book you will find a link to hear an original song, a replay of the event which takes place in the story. Enjoy! 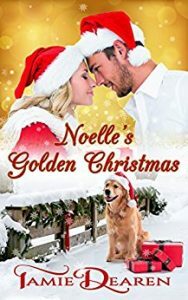 Noelle’s Golden Christmas is the first book in the Holiday, Inc. Christian Romance series. 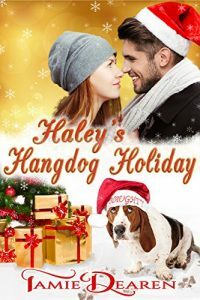 If you remember correctly, you’ll know that I have already read book number two, Haley’s Hangdog Holiday, which you can find the review for at HERE. As you may have guessed, you can read out of order as these can be standalone. And, before I forget, book number three, Shara’s Happy New-foundland Year, is now available!! You can find that HERE. Anyway, I have to admit that I liked Haley’s Hangdog Holiday better than Noelle’s Golden Christmas. However, Noelle’s Golden Christmas was pretty good. As typical with all of Tamie Dearen’s work, the writing is phenomenal. The characters are well-developed. The scenes are written so that you really feel like you’re in the novel. I also love the dogs in these novels. I think it’s neat to add this extra story to the romance. 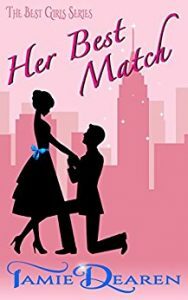 What I didn’t particularly like this time around was that the romance was rushed in my opinion. There’s chemistry at first, but by the end of the novel, they’re so in love and are engaged, and it’s only been like a month. I know that sometimes that works for people, but to me, that’s not typical. So, I didn’t feel a connection like I had hoped. It is a clean novel, and one that I would totally recommend. I’ll even be reading the third book at some point. But Noelle’s Golden Christmas didn’t totally do it for me. And I hate saying that because I really love Tamie Dearen’s work. Having said all this, I am rating the book four stars instead of five. Of note, there is some tough issues mentioned – eating disorders and harming oneself. But it is done tastefully and there is redemption! Plus, this book comes with a song!!! Go check it out!